nail designs that turned out lumpy and very hard to figure out what the design was. Two years later I have researched and found some great inspiration that will help me create simple ,effective designs. 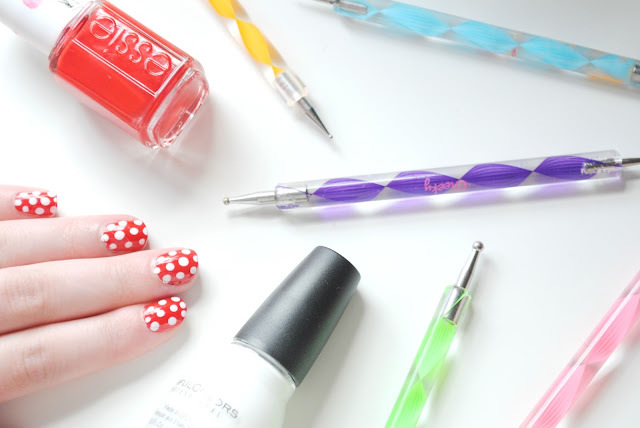 After reading nail art blogs for a while I realised that I would need some nail art tools to assist me in creating some nail art designs, so I bought some very cheap dotting tools from Amazon. They are seriously cheap and free UK delivery but they did take up too four weeks to reach me but at £1.40 I can't really complain. For my fist design I painted my nails red using Essie Lacquered Up, then using my dotting tool I used Sinful Colours Snow me white to create the white dots. This nail art is super easy and can be achieved by anyone, I am so pleased with the results and can't wait to try some more designs. What are your nail art skills like ? 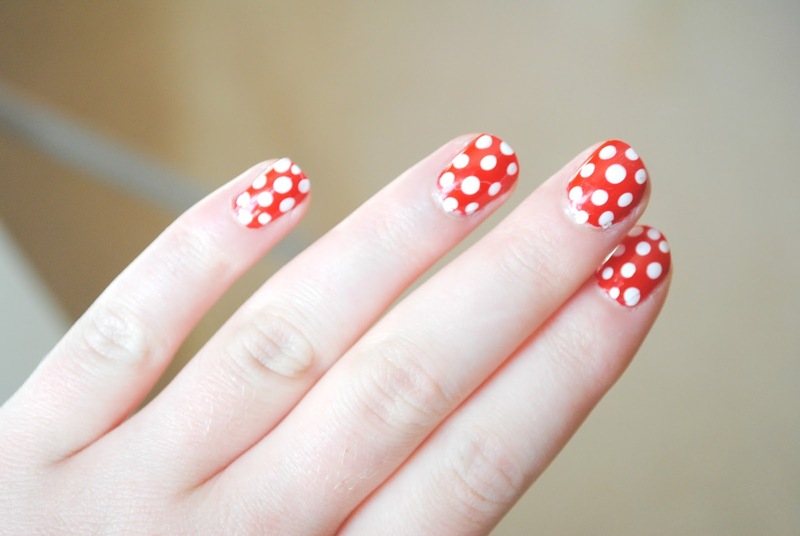 I love polkadotting my nails! Pick up a Models Own nail art pen in White and it'll be even easier!